Do you ever feel like if you could just get the house sorted, and a plan for your future sorted, life would run on rails??? I'm vowing right now, to report back here during or after the weekend with photos of a pristine house!!! 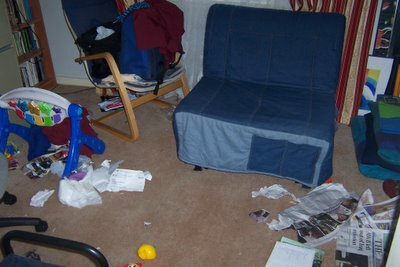 oh your house doesn't look so bad... well ok it is a bit messy but mine is worse! I just walked out and left it today which means when we get home tomorrow arvo I will have to face it all then... arrgghh. 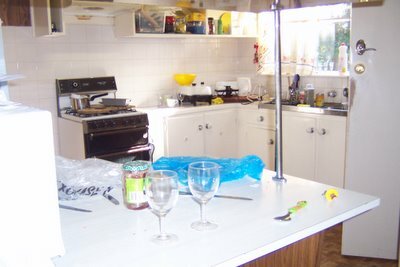 But I am having a 'why bother' week when I clean up one bit and while I am doing in the twinados destory something else! arrrghhh! Doesn't look much different from mine normally! LOL I hear ya! Looks like my house most of the time LOL I wish I could find a cleaning fairy to come clean up my house!! 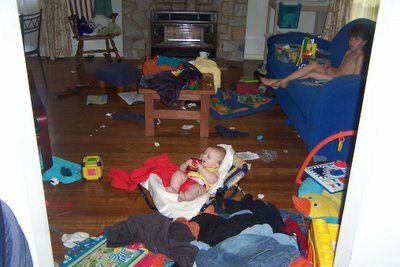 Yep me too, would love a cleaning fairy, as my house looks like this all the time too! I have closed Imogen's bedroom door so I don't have to be confronted with the mess LOL! You are not alone! And I hear you re: waiting for Dave to finish up before your "new life" begins! I do this sort of thing all the time, but I try to remember that John Lennon song that goes "Life is what happens to you while your busy making other plans". And that other quote *sieze the day!*. Easier said than done though, particlarly if you are feeling lethargic. What time of your cycle are you? Second half?